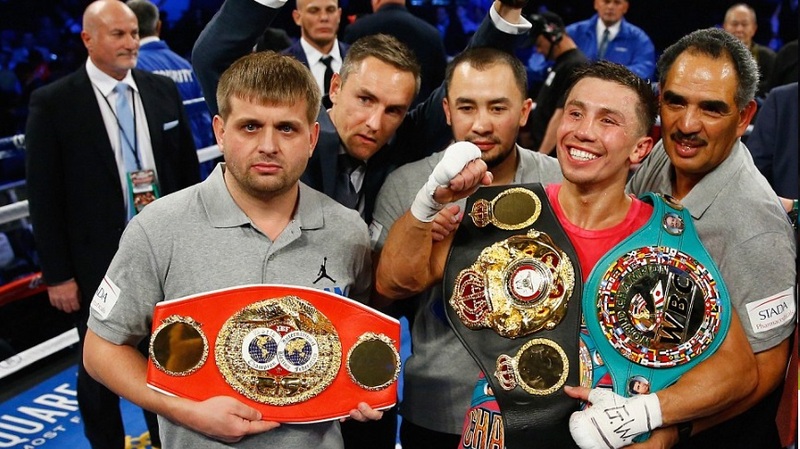 “Tripple G” almost bullied a very good boxer in David Lemieux in what was a absolute stunning performance from Golovkin to win the fight in round eight via TKO and Unifies middleweight division. He wants his next opponent to be the winner of Cotto-Canalo. Middleweight kingping Gennedy Golovkin unified middleweight titles with a impressive win over David Lemieux in just over 8 rounds with TKO. Golovkin was in control from the round by and wobbled Lemieux in round 2, dropped him with a combination of body shot and a left-right left combo. 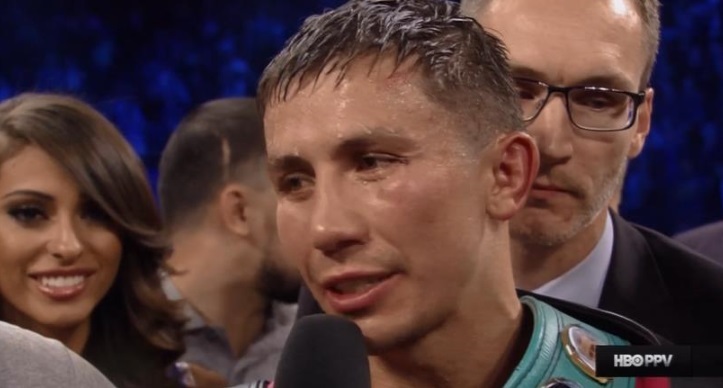 In the end Golovkin was too strong, powerful and technically better fighter while Lemieux had his moments but never looked like troubling “GGG” as Referee stopped the fight in round 8. The result was never in doubt as Golovkin put his authority on Lemieux early in the fight with some superb jab and left-right-left combos. Round 5 proved vital where Golovkin dropped him after a superb body shot but credit to Lemieux he kept trying knowing he is in a lost cause. “Tripple G” now has better knockout ratio in 34 fights than Mike Tyson, he now holds WBA, WBC and IBF middleweight titles. Crowd loved the performance and we can safely say that Gennady Golovkin is a bonafide PPV star moving forward in 2016.
here is official 2 minutes video of last round when the refree stop the fight. Gennedy Golovkin has moved to California and has kind of made his presense felt in the states with couple of good wins of late. He is widely tipped to become the new pound-for-pound king in boxing and this fight is exactly what he needs to take his name to next level and move on to bigger and better fights against the likes of Canelo Alvarez and Miguel Cotto etc. David Lemieux is not mug either and unlike Golovkin’s last few opponents Lemieux brings power and some stiff right hands which can cause damage if Golovkin leave himself open. 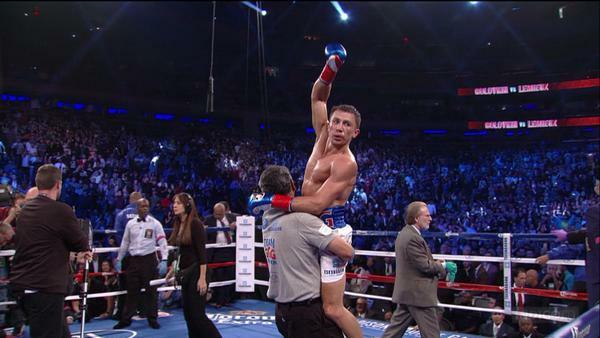 Lemieux record of 31 knockout wins in 36 matches is something Golovkin can not take likely. Lemieux is coming into this fight on the back of a unanimous decision against Hassan N’Dam but it was the way he earned the decision with four knockdowns which impressed fans the most. Here is the fight Schedule and undercards details. Maybe a little slow, but only when compared to the very top fighters. And his skills in getting on the inside, choice of punches, counterpunching, total body movement, and power, will negate this disadvantage to a very large extent!